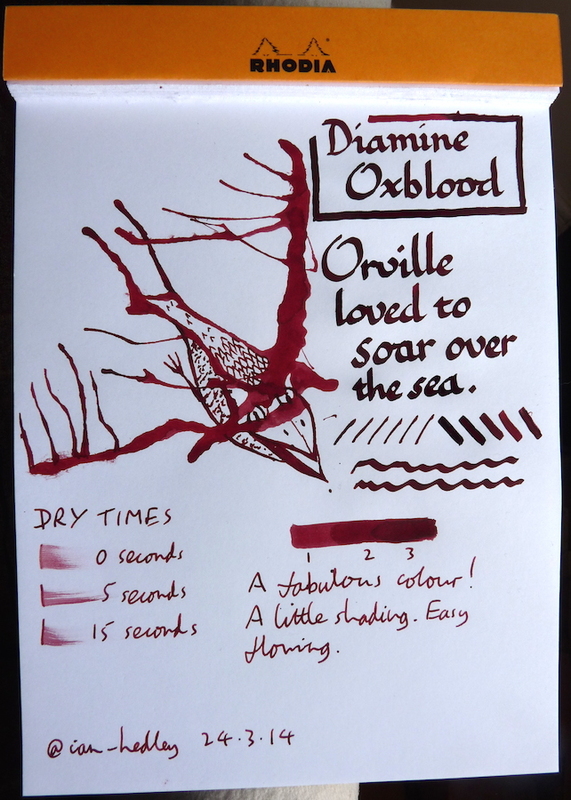 Diamine Oxblood ink review – Pens! Paper! Pencils! 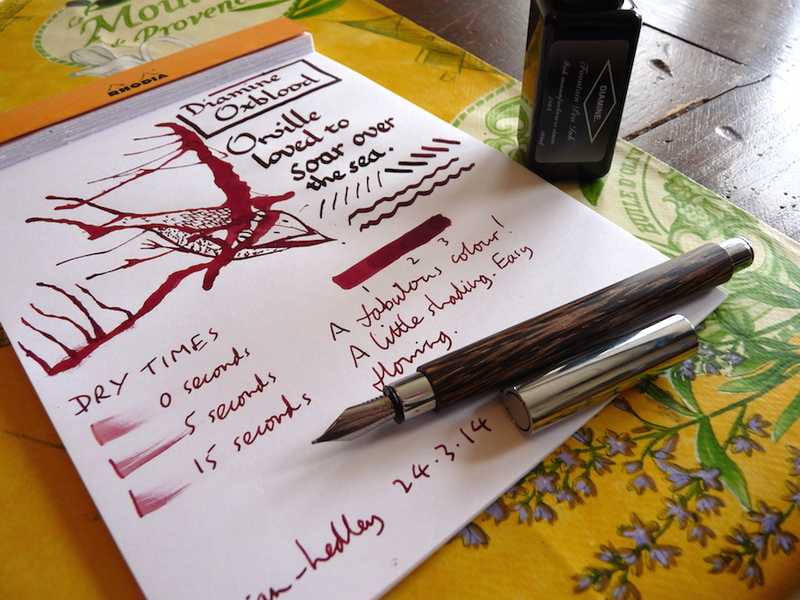 Thanks to Informal Scribble for sending me the sample. I liked it so much I had to buy a little bottle for myself. It’s a great name isn’t it. I try to convince my daughter that it’s real ox blood but she knows me too well. :))) I think it could be very difficult to explain where did you get an ox and its blood from. But it definitely looks real!